Power Adhesives have poured a considerable amount of time and effort into developing and manufacturing a range of hot melt adhesives and applicators suitable for working with various types of wood. Our woodworking adhesives have been put rigorously tried and tested by tradesmen across the globe. 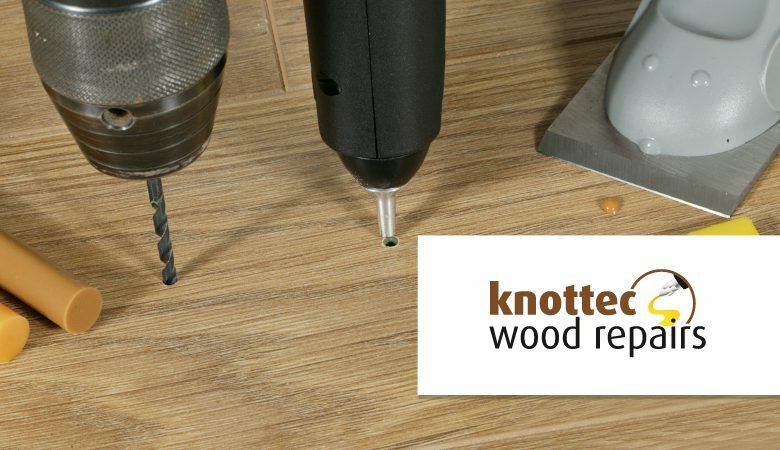 The knottec wood repair system allows for fast and effective, seamless repairs of knot defects as well as deep scratches, cuts and other forms of damage to wood. Available as a kit, in a useful carry case, the knottec wood repair system is perfect for the professional on the go. Using specially formulated tecbond adhesives, applications like securing cleats to the bottoms of drawers and wardrobes become quick and simple tasks. V-groove assembly becomes an instant bond thanks to the fast setting, strong join that tecbond adhesives provide. Our woodworking adhesive also grants flexibility when it comes to building templates to work with and bonding decorative mouldings directly to caskets.